Our range of products include corrosion resistant coating, rust remover, coal tar epoxy protective coatings and corrosion rust converter. By keeping track of the latest market developments, we are actively involved in manufacturing, and supplying a broad range of Corrosion Resistant Coating. The offered coating is processed with the best grade ingredients and leading technology according to the quality standards. 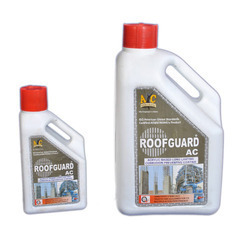 This coating is applied by brush to offer protection for steel against corrosion effect. Our coating is tested by our quality controllers on various parameters in order to make certain their quality. We introduce ourselves as a prominent manufacturers, distributor, wholesaler, trader, and suppliers of an extensive array of Rust Remover which is use to remove rust from metals, the offered rust remover is processed under the observation of our quality experts by using sophisticated technology at par with international quality standards. 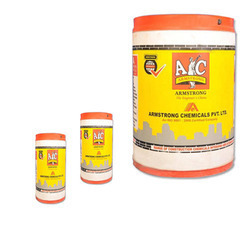 The whole range of rust remover is available in different packaging options as per the needs of our customers at nominal rates. 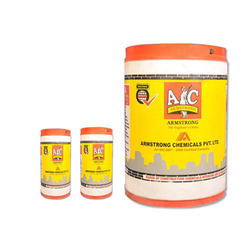 Used for removal of rust from metals like structural steel, rib bar, nail, refinery, railways, metal fabrication and maintenance work shops etc. Owing to our expertise, we have been able to offer our clients an excellent quality Corrosion Resistant Coating. The offered coating offers high resistance to ultra violet rays and chemical aggression. 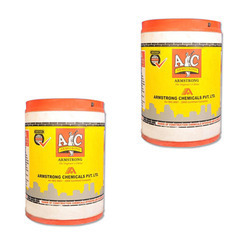 This coating is processed using supreme class ingredients as per the set industry norms. 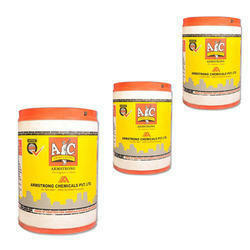 Customers can avail this coating within promised time frame from us in various quantities. We are reckoned as the foremost manufacturer, and supplier of Coal Tar Epoxy Protective Coatings that develops excellent adhesion to the applied surface & use on sewage treatment plants, pipelines, the offered epoxy coating is widely praised among customers for its strong adhesion. This epoxy coating is processed by utilizing top-notch quality ingredients as per the set industry norms under the observation of our experts. Additionally, patrons can avail this epoxy coating from us at market rates. Having rich industrial knowledge, we provide highly effective Corrosion and Rust Converter-rust encapsulating coating for steel. High performance, easy to apply, self priming rust convertor - rust encapsulating coating for protection of steel and iron against aggressive corrosion, industrial pollution, coastal environment, chemical attacks, weathering conditions and water. It penetrates to combine the rust with coating all the way down to original surface of steel/metal. Can be over coated with rubber, acrylic, pu, epoxy, water dispersion coatings. Application of 2nd coat will ensure dependable rust conversion. Looking for Corrosion Resistant Coatings ?